Recently, we were at RE/MAX ACTIVATE in beautiful Whistler where we had the opportunity to present and connect with many brokers and agents and discuss Online Reviews. We rely on the internet to help us make decisions every day. Whether it’s researching which car to buy, choosing a vacation destination, or simply picking where to go for dinner, few decision – no matter how big or small – are made without at least consulting online reviews. 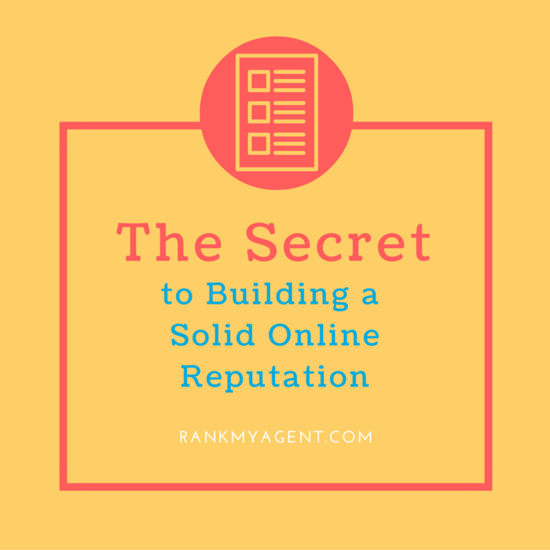 I’m sure as a professional, you understand just how important it is to have a strong online presence that matches your stellar offline reputation. It’s not surprising consumers are increasingly turning to online reviews to re-confirm word-of-mouth referrals and are searching for unbiased recommendations of local Real Estate Professionals. 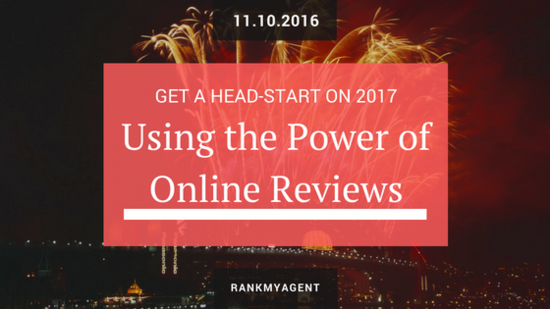 In this 30-minute webinar, you will learn how you can finish the year strong and get a head start generating new business in 2017, and beyond, using Online Reviews. If you are ready to leverage online reviews in real estate and connect with new buyers and sellers in 2017 and beyond this webinar is perfect for you! How do you keep Online Reviews Top of Mind for your Clients? There is no doubt that online reviews are critical to have as a part of your business strategy. 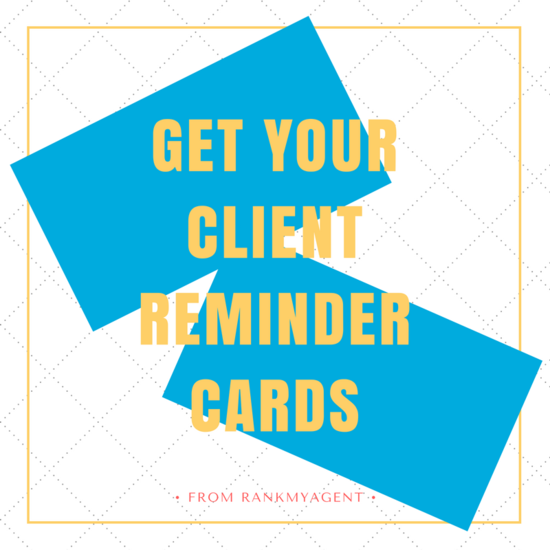 RankMyAgent is offering complimentary packs of reminder cards that you can give to clients as you firm up deals.